Your website is fascinating! Which culinary traditions would you say most closely embody your mission? Followed in due course by attendance at Holy Mass, as Christ is the "Bread of Life," we prepare certain foods directly related to Christian Culture, including fish within the twelve-course meal of the Last Supper, which is currently requiring some diligent research. 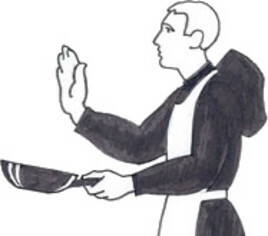 Students at the School of Monastic Cooking are part of the research team with our Civic Friars to help unlock the Mysteries of over 1500 years of Monastic Tradition in the Culinary Arts. After Jesus multiplied loaves and fishes for the multitudes, all of whom came to hear His preaching, he said that He is the Bread of Life. To register for your free first copy of our the Inaugural issue of "The Civic Friary Newsletter" simply mention your interest in receiving your complimentary copy in the message section of our "Contact page." 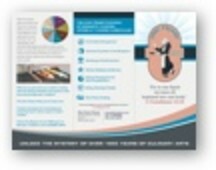 Will you be publishing a Newsletter? What will be its format? Our first Newsletter will be complimentary for all who register.